Today we'll talk a bit about styling dresses in early spring. Generally speaking my advice would be to wear your dresses with blazers and lighter jackets/coats. If it's still cold, you could also add tights and boots to your outfit. That's what I've been doing lately. One great thing about spring is that you can style all kinds of dresses in this season, even summer ones. You can always layer to make your outfit more warm and cozy. To dress up your spring dresses, opt for dressier shoes and fancy bags. Similarly, if your want your feminine spring outfits to be more day time appropriate, you can always dress down your dresses with sneakers and (denim/leather/utility) jackets. Alternatively, you can also wear sporty or casual dresses to get that relaxed vibe. Not only is there a dress for every kind of style, there is a way to make almost any dress fit your style. It's all about figuring what works for you. 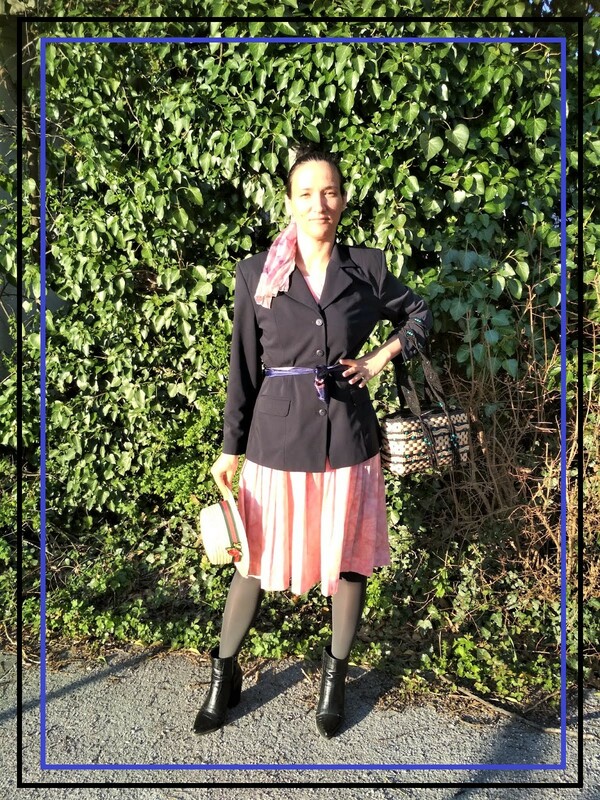 Today's outfit proposal for an early spring styling has several components: a vintage dress, a long blazer, a pair of boots, a straw bag and lastly a scarf tied as a belt. 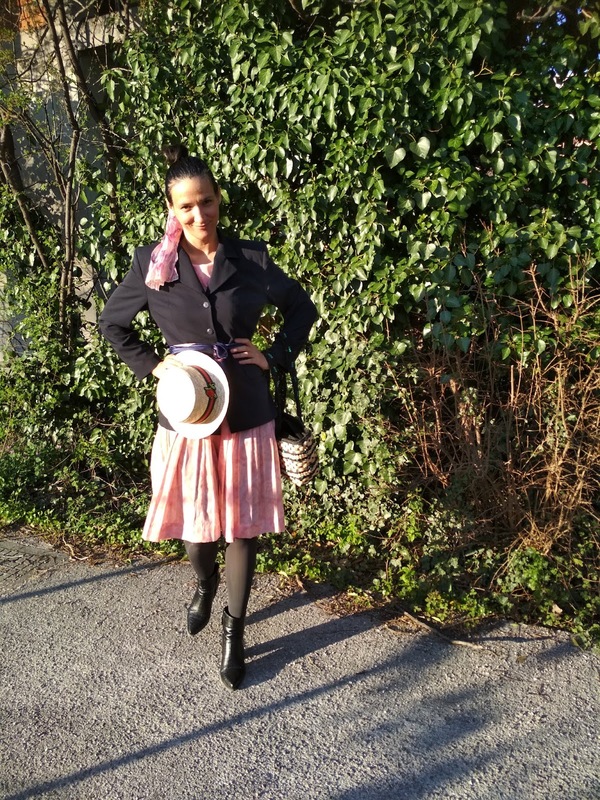 I typically wear this pink pleated vintage dress in both spring and summer. The only difference is that in spring time, I'm more likely to pair it with closed shoes and/or tights, while in spring I wear it with sandals. Pleated items are quite trendy right now. I'm definitely a fan of pleated dresses and skirts. A pleated item can give a perfect note of elegance and sophistication to your outfit. This dress is pink with bluish tones, so I paired it with a navy blue blazer. I think these two items are a nice match. I tied my new chain print scarf as a belt. Isn't it amazing how many ways there are to wear a scarf? There is another scarf in my outfit, the pink one I wore in my hair, I almost forgot about that one. The bag I opted for is a straw bag. It's all about those vacation vibes. 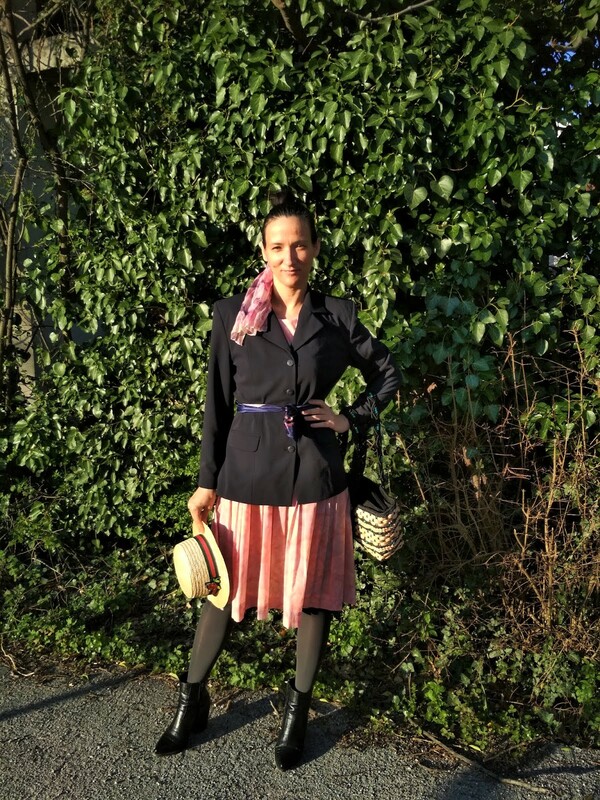 This is a lovely time of year for fashion experiments and having fun with our personal style. Do you like wearing skirts and dresses in spring time? I don't think I would go too far if I said that skirts and dresses are my 'go to' pieces in spring. The best thing about dresses is they come in such a great variety of styles. For example, if you are going for a more attractive look, you can always look for cute bodycon dresses. If you want to keep things more modest or office appropriate, you can opt for a more romantic cut. When it comes to spring time, I tend to wear dresses in all lengths: mini, standard, midi or maxi. As of late, midi and maxi happen to be my first choice. 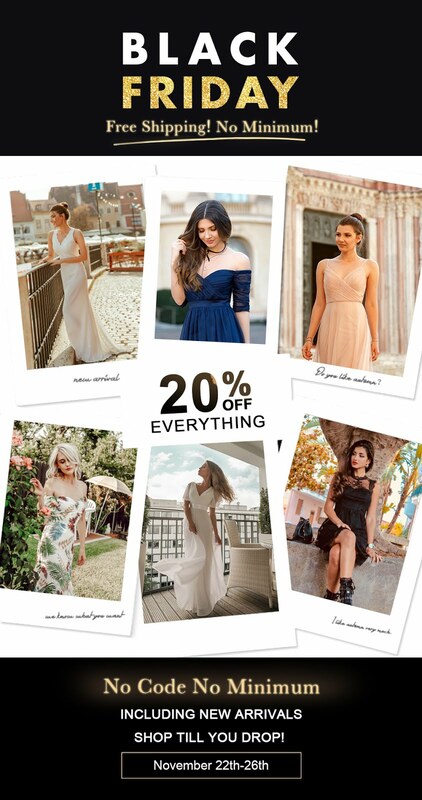 If you don't have any in your closet, you can always look for midi or maxi dresses online. Glitter and metallic dresses are also a good option for spring. Recently I wore a gold one, and I loved it. The metallic dress I've linked to bellow is from Omnifever site. I think we'll be seeing a lot of metallic this spring and that goes for dresses as well. There are a lot of wonderful trends to choose from when we talk about dresses for spring. Before you go shopping, I would recommend you to check your closet, though. Sometimes we forget what we have in there and end up ordering similar pieces. My advice is to only buy things you know you will love and wear. That applies for dresses as well. Don't buy something that is trendy, if you don't like it yourself. There are so many trends out there right now, you're surely to find a dress that will fit both your personal preference and style. 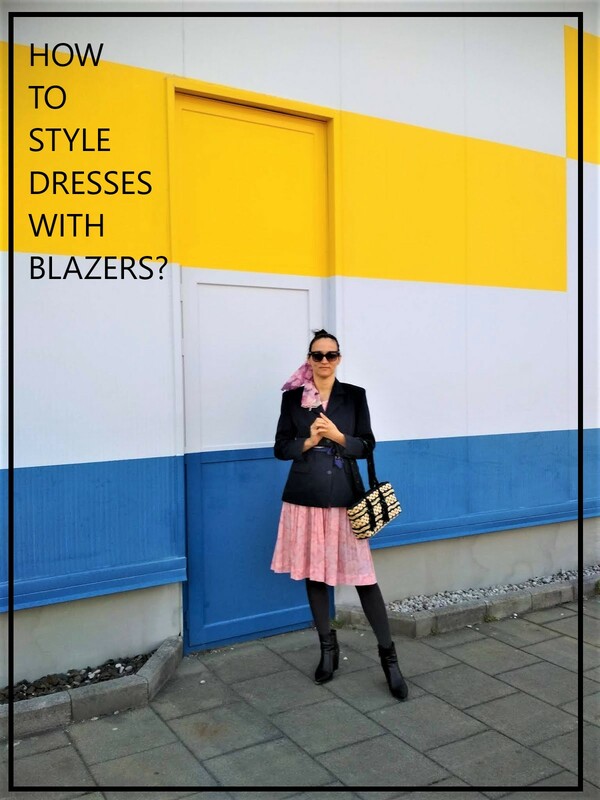 Here are a few more spring outfits featuring blazers worn with dresses/skirts. Let me know which one you like best. Do you like to wear blazers in spring time? If yes, what kind of blazers are your favourite ones? What is your favourite cut and colour? I'm asking this question, but I couldn't answer myself. I like blazers in all shapes and colours. Still, if I could have only one blazer, I'd probably choose a classical black one because it is such a versatile piece. Thank you for reading and visiting. Have have you been? How has spring been treating you? Let me know. Have a great week ahead! Mi piacciono molto le tue proposte devo dire, soprattutto l'idea di abbinarci un blazer! grazie, un bel blazer sta bene con tutto. that's a great thing to do as well. I love to see dresses worn with jeans. You looks super chic and stylish! Your dress is so cute layered and I like how you added the scarf as a belt and in your hair! Fun way to accessorise! :) I like layering my dresses up for spring and autumn, although I'm desperately waiting for it to cool off here so I can start doing that, haha! thank you, scarves in hair are a fun way to accessorize indeed. Love that pretty pink dress with the blazer. This time of year is always tough because the weather changes so much throughout the day. Layering is definitely key. thanks Julie. It can be tricky to dress in early spring, but layering helps a lot. Beautiful looks. Blazers are really fun. I have many different styles from my office work days. Now I just wear them as light jackets in between seasons. I love the long scarf with your hat! They work great as light jackets, don't they? These are all wonderful. 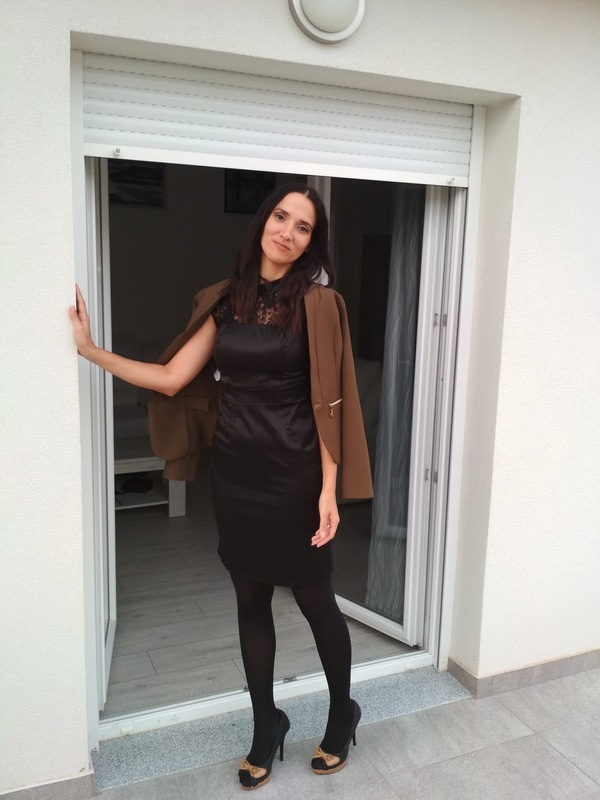 I like to style my blazer with bodycon dresses or skinny jeans. that's a great way to style it! Hello beautiful, it's a beautiful dress, I like the pink and black combination, I'm wearing skirts, shorts and dresses during the spring since I can not stand wearing long pants because of the heat. Thanks for so much inspiration. yes, once it gets warm, the pans don't see necessary, do they? Love your spring styling babe. thank you Gabrielle. Blazer do create a great contrast with the dresses. Your outfits are all great, and I would also love to wear some skirts and blazers this spring!! The idea of scarf on your hair is so great!! 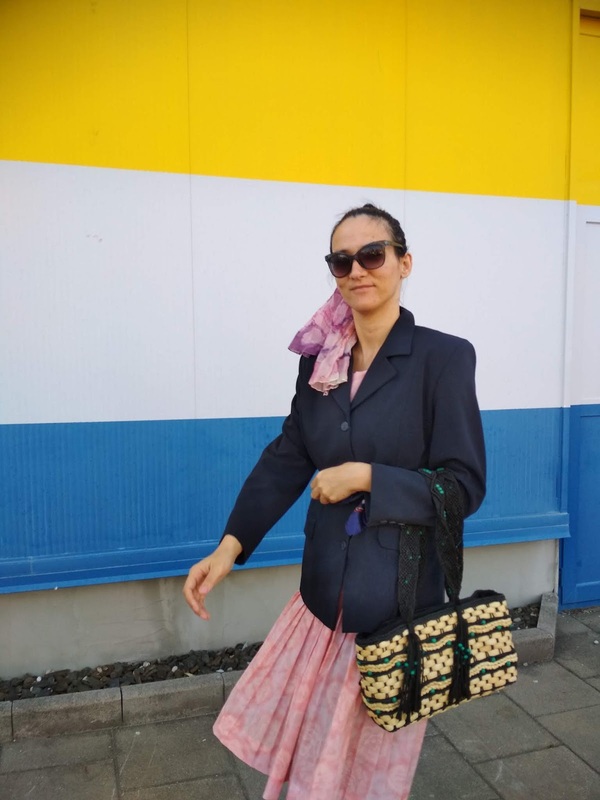 You are such a fashionista Ivana! Beautiful photos!